One of the family lines that is connected to the Rhinehart Family is the Knight Family. This family is separated for the convenience of the viewer. Lt. Col. John Peabody Knight (1819-1883), fought on the side of the North in the Civil War. He married his first wife Ann Eliza Whitney in 1848. Father of Julia Amy Knight and Eben Whitney Knight. 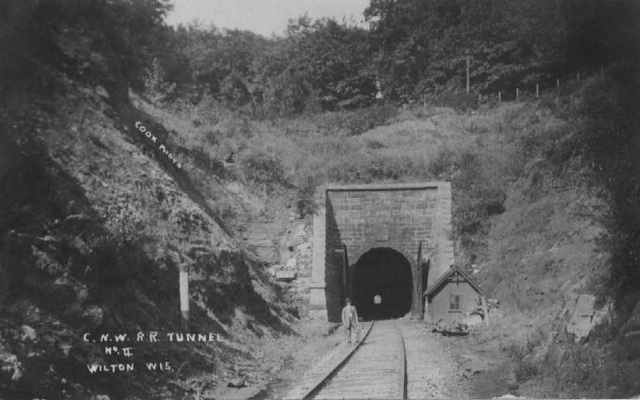 After the Civil War, JP Knight had work in Milwaukee as a civil engineer, opening a cut for a railroad from which they believed poison gas came which killed his wife, oldest child, Mary Lorainne, and a new born baby. Two children, Julia Amy and Ebenezer W. survived. John P. Knight surveyed the Northern Pacific Railroad as far as Bismarck, ND. 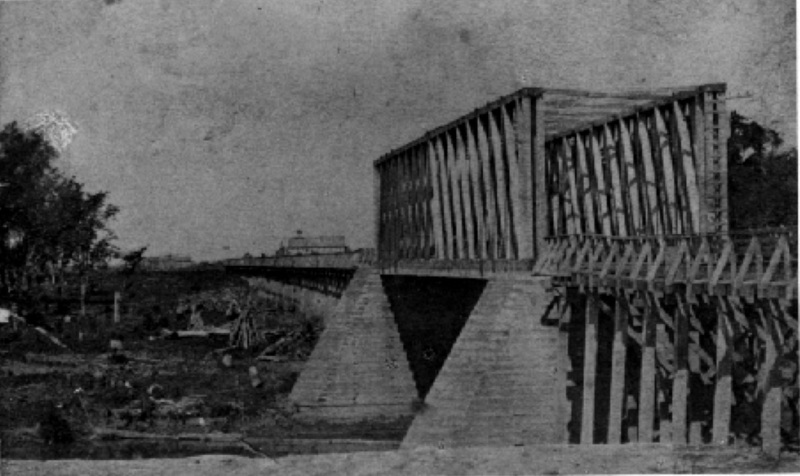 He helped construct this first bridge over the Red River near Fargo, ND. Ann Eliza Whitney (1822-1855), first wife of John Peabody Knight. She and two of her children (a 6-year-old daughter and newborn) died in 1855 from poison gas in a railroad tunnel, according to family tradition. Her two surviving children were Julia Amy and Eben Whitney Knight. 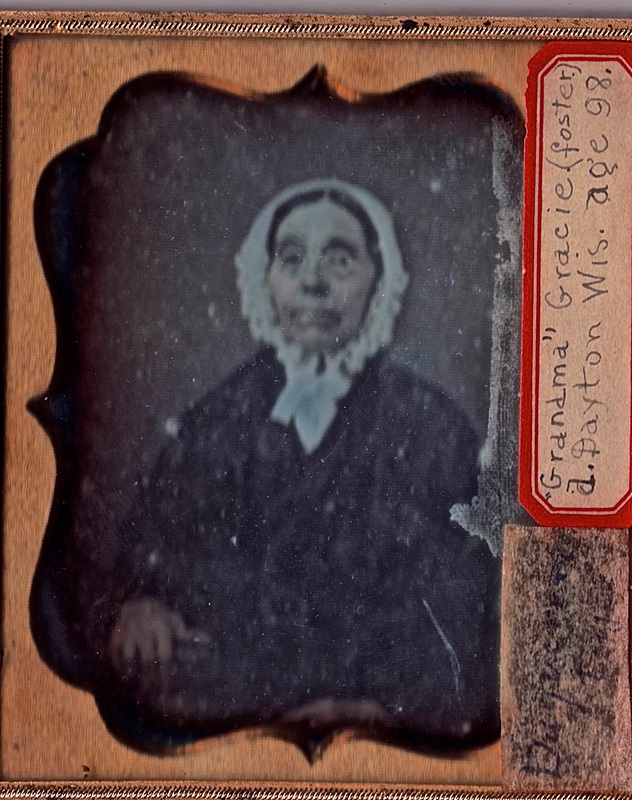 "Your aunt has done your bidding, and procured a copy of the likeness of your sainted mother (Ann Eliza Whitney)...of how she appeared soon after her marriage with your father...The hair you will perceive was worn very differently from the present style, and we will remember she was not enjoying her usual health when the likeness was sat for. ... She was beautiful in physique; brilliant in intellect; and of high, fine and dignified character in the best sense. I would summarize her person in this way. Her height was about 5 ft. 5 inches: Her form was slender, lithe and grace itself: Complexion, very fair; Hair a dark auburn: Eyes, black, brilliant, but mild and beautiful... I remember her when she was young, in her teens as we are sometimes wont to say. We were children and romped and played together. I attended the same school. "I was present at her marriage. It was an ill asserted one. Her nature was too noble, kinder, sensitive and she tried to thrive, or even to live in the chilling atmosphere which surrounded him to whom her destinies were united. He was in no sense her peer, nor was there a trace of congeniality or adaptedness. His coldness, sulkiness, grossness froze and blasted her. She lived in melancholy, and died broken hearted. She was all patience and fed on hope. 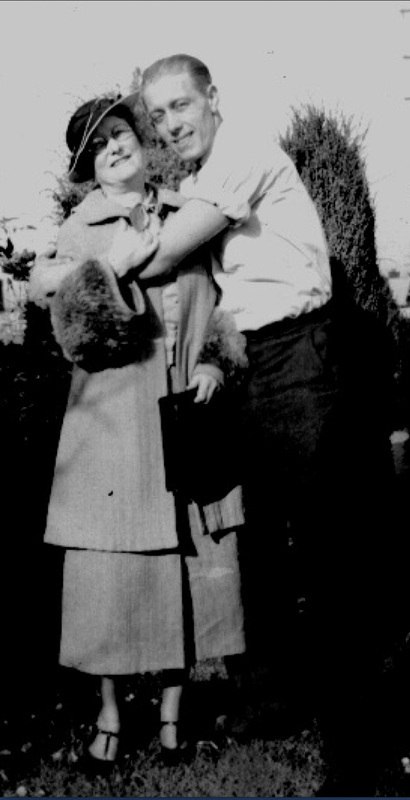 'While she never told her grief But its concealment, like a worm in the bud, Feed on her damask cheek'…She watched over you (Eben) a feeble delicate one in infancy. Who knows but from her abode in bliss, she is looking down upon and watching and directing your steps." 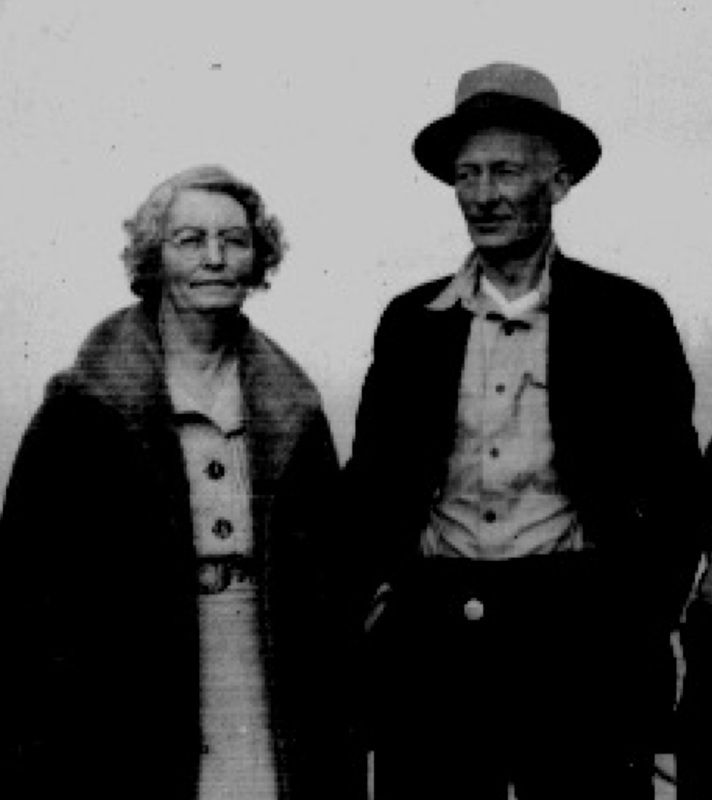 Parents-in-law of William Rhinehart, foster father of Julia Knight. Top photo is labeled Dr. Gracie and lower is labeled as Grandma Gracie, who died in Dayton, Wisconsin at age 98. These are both daguerreotype photos probably made sometime in the mid-1800s. In 1873 Eben settled with his father, JP Knight, in Fargo, the Dakota Territories. In 1874 he was one of the publishers and editors of the new Fargo Express, the second newspaper in North Dakota. 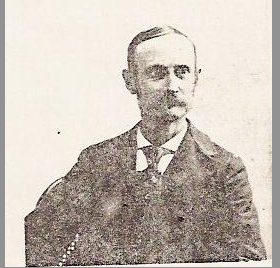 He trained for his work in Fargo at the Bismarch Tribune, where in 1876 he sent word of the Custer Massacre on to New York. He also served, in 1889, as a messenger for the North Dakota Constitutional Convention. He married twice. His first wife died in 1875 within a year of marriage with birth of a son. 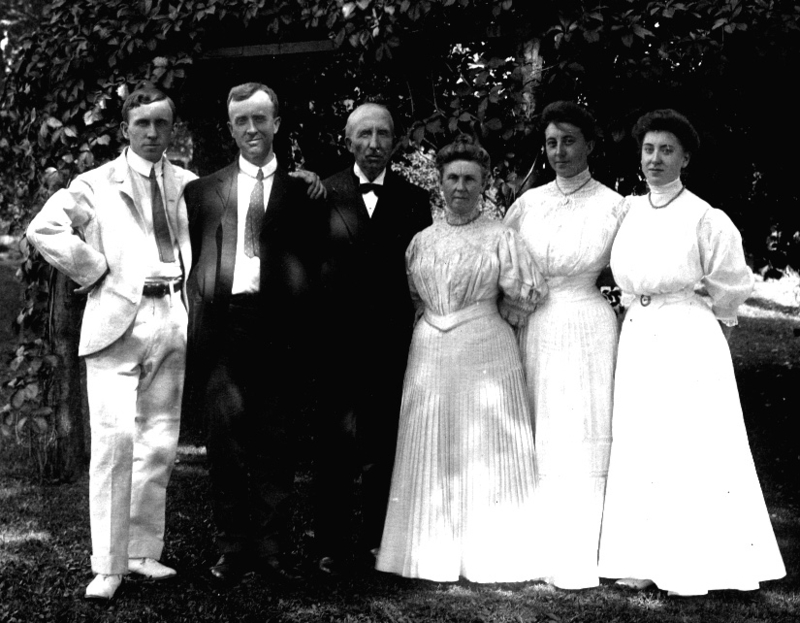 He married again to Ellen Bonner (b.1864) in 1879 and they had four children, John, Anna (Ann), Walter and Royal. They separated after about 10 years. This is thought to be Mary Ann Knight (born in 1816). She was the daughter of Ebenezer Knight (1781-1826) and Mary Grant Barton (1787-1874). She was a sister of John Peabody Knight. Another opinion is that this is a daughter of the above Mary Ann Knight. 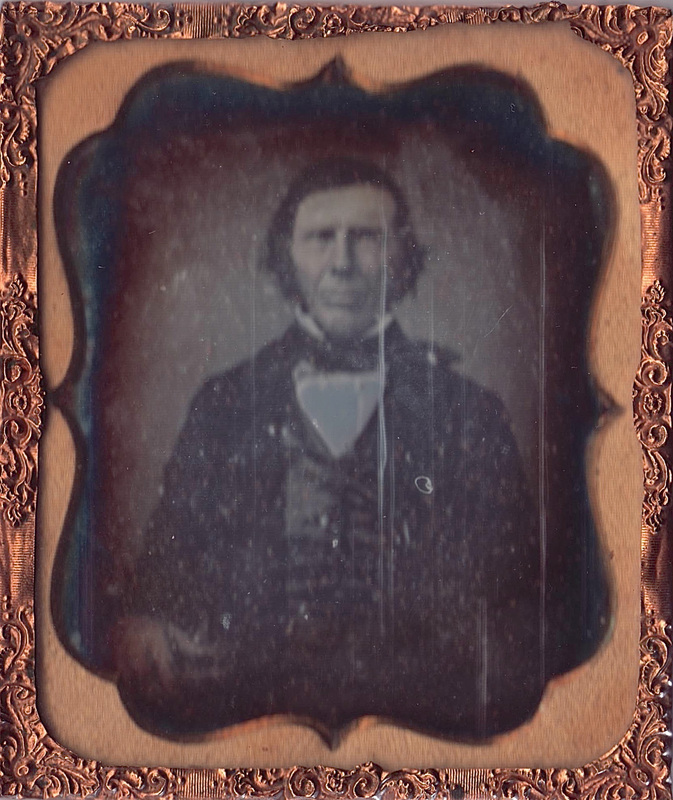 This photo was probably made by the calotype photo process which was introduced in 1841. Joseph Hillman Knight (1844-1934) and family. He was the son of JP Knight's brother Horace Barton Knight (born 1817). Joseph's wife was Susan Seymour (1845-1927) and their children were Henry, Seymour, Mary and Bessie.